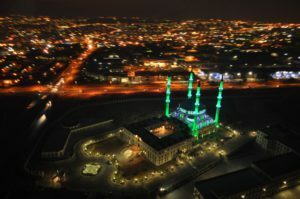 NIZAMIYE COMPLEX – "Where heart and mind meet"
"Where heart and mind meet"
Towering over Midrand, Nizamiye is the biggest mosque complex in the southern hemisphere. 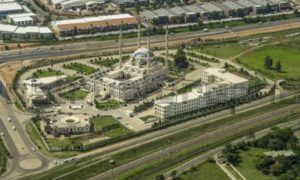 Built by a Turkish philanthropist, Nizamiye Complex was completed in 2012 and is modelled on the 16th-century Ottoman Selimiye mosque complex in Edirne, Turkey. Work began on the project on 1 October 2009 and was officially inaugurated by the u African President Jacob Zuma on 4 October 2012. The name of the complex was inspired by the 11th-century Nizamiye Madrasahs, a higher education institution system used in Baghdad and other parts of the Islamic world. 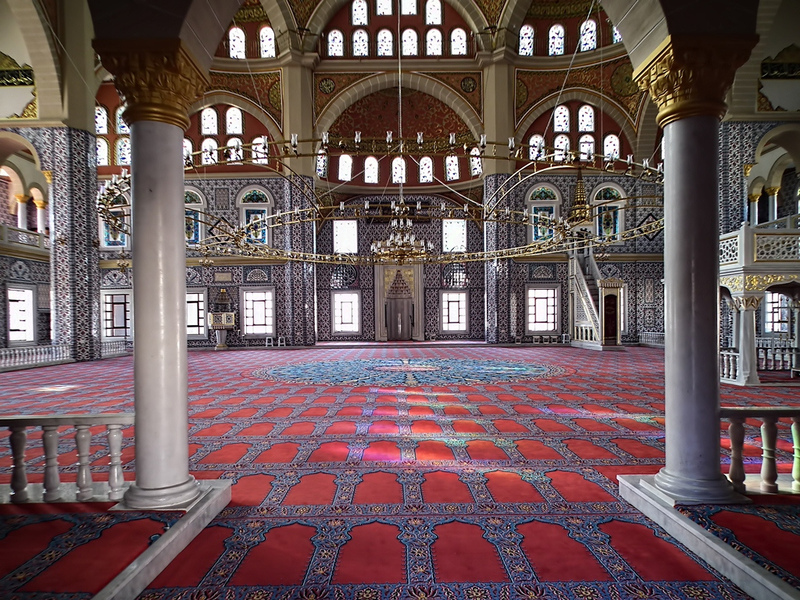 Within the Nizamiye complex there is a mosque, school, exhibition hall, cemetery, clinic and bazaar which has a market, bakery, barber, bookshop, a carpet and ceramics store, and a Turkish restaurant.